Moving home can't be more easy! Our team work 24 hours a day to suit your requirements, so whatever the time of your removal service, you can be sure of our reliability to get the job done safe and efficient. Our vans are insured with Goods in Transit policies and Public Liability insurance is in place, so rest assured your items are covered from start to finish. Can't face all that packing? Don't worry! Our team of professionals are on hand to pack the whole contents of your property so everything is all wrapped up safe and ready to transport. Any fragile items are safely wrapped and well packaged in their boxes to ensure maximum safety. Boxes are labeled so the moving team know exactly how to stack the van. Heavy furniture is lifted on to the van by our strong team using appropriate lifting equipment where neccessary. Relocating to Europe? Not a problem. We will load the van and meet you at your new place across the water. Whether you're moving from a flat, bungalow or 3 story house, our experienced team will move your belongings safely and securely to their new home. From dismantling furinture and rebuilding it in your new place, to packing every item in your home ready for transport, our team of professionals are on hand. Our reliable commercial removal services cater from the relocation of a single office to another part of the same building, to a whole building moving to a new premises. our bespoke removal options will cater for every requirement. 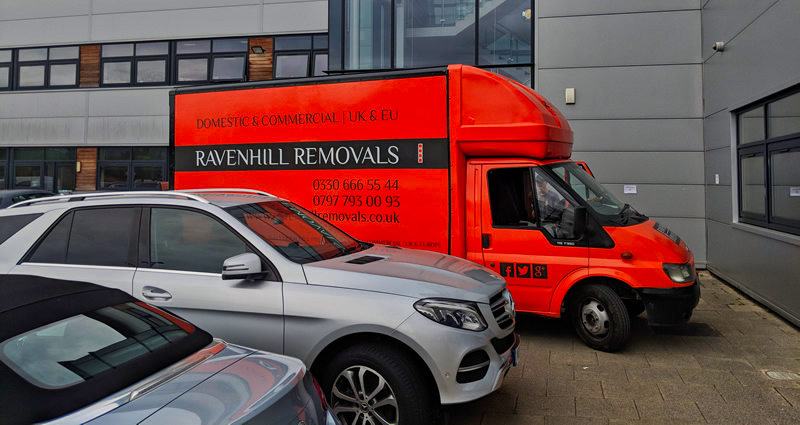 Ravenhill Removals is your complete professional moving solution taking care of your removals service from packing, to loading, to delivery, with the rebuilding of furniture thrown in for good measure! We pride ourselves in customer care, making sure everything is done correctly and smoothly to elimiate any extra stress our customers will be feeling on moving day. We are proud to have helped move customers all over the UK since 2008. When choosing Ravenhill Removals as your dedicated moving company you can be certain of a quality removal service from start to finish. Our professional team will pack your items securely into their appropriate boxes and dismantle any furniture needing to be taken down ready for moving day. 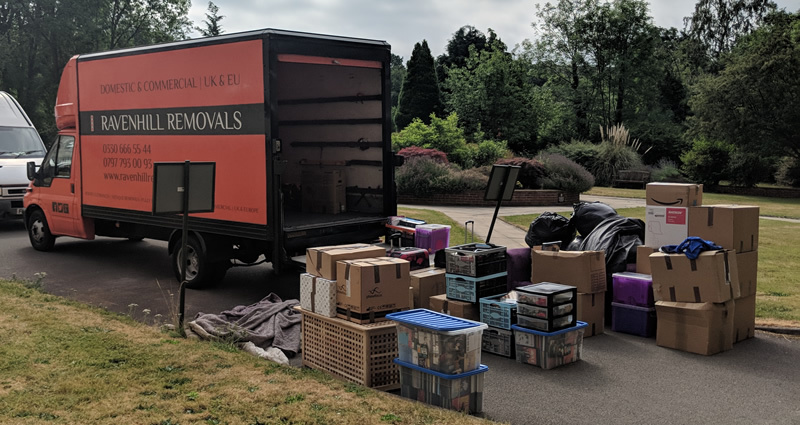 On moving day our experienced staff members will expertly stack the van, ensuring everything is strapped up and secure ready for transportation. Once at the destination, the van is unloaded and all your items moved into their desired location in your new place. 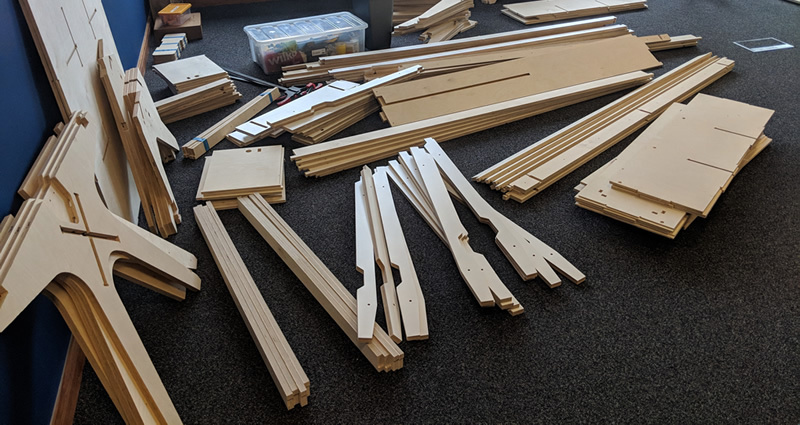 Any furniture can be reassembled if needed. Our team of professional movers will reliably move you and your furnishings all across the country. No fuss, just expert moving services. Sheffield based moving company providing expert removal services to customers all around the UK.